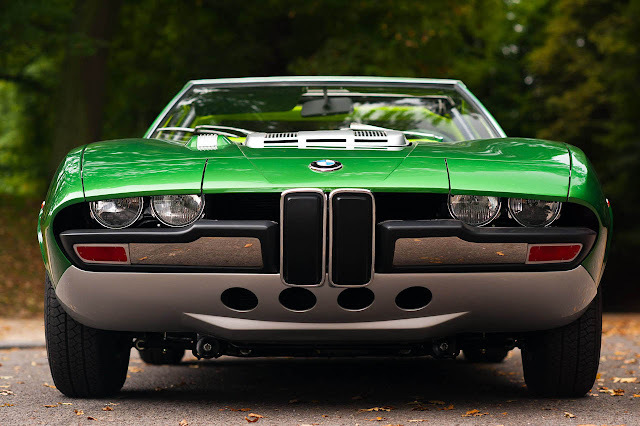 Built as both a spider and a coupe, the Spicup was daring prototype made by Bertone and Marcello Gandini for BMW. A highlight of the design was the three-piece sliding top made of stainless steel, but this didn’t stop the Spicup from becoming a relative failure. It was totally out of place with BMW's refined model line and was not suitable for production. Using the BMW 2500 as a backbone, the designers at Bertone shortened the chassis to fit a new body and interior. Inside, only the gauges and pedals remained stock. 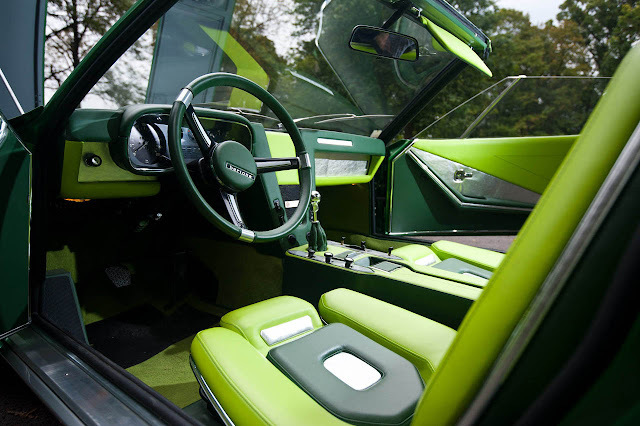 Bertone fitted a new dashboard, seats and carpet with two tone, green on green upholstery. Bertone describes the car: "The considerable dimensions of the mechanical components were handled by creating almost excessively fluid vertical lines. At the same time, the relatively important tail and wings become the car's focal point. The rollbars had to satisfy a combination safety needs and design criteria, and Bertone solved the problem with an automatic mechanism which also contained the elements for the transformation from spider to coupé and back again. For the Spicup, Bertone used the larger inline-6 from the BMW 2800. This capable 2.8 liter, six-cylinder engine produced 170 bhp and drove the rear wheels through a 4-speed manual transmission. These components made the prototype fully functional. Revealed at the 1969 Geneva Motor Show, the Spicup had a great resemblance to the Alfa Romeo Montreal prototype released at the 1967 Montreal Expo. This was especially true of the semi-hidden headlights with motorized flaps. However at the front Bertone kept BMW's 'double kidney' motif, but with obscure padded inserts. Having little to do with past or future BMWs, the company quickly sold the Spicup to an enthusiastic owner that racked up over 60,000 miles (100,000 kms) traveling constantly from the Netherlands to Germany. This was largely possible due to the BMW 2500 underpinnings. At some point the body was painted orange and the engine cover was attached in unit with the hood. In recent times the Spicup was found by Paul Koot in the Netherlands along with an Intermeccanica Indra. It was complete and a subsequent restoration was completed for Roland D'Ieteren in Belgium. 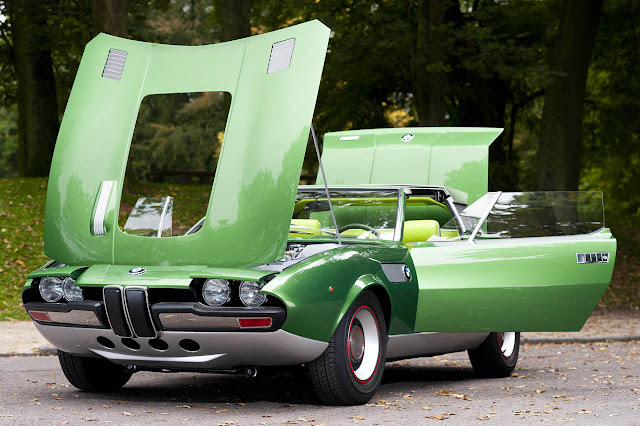 Painted its original hue of green with triple-tone interior, the Spicup made its debut at the 2009 Villa d’Este Concours with BMW as the acting sponsor.